Experience Berlin in a very special and exclusive manner – with a tour on the Bellini sedan. The venetian convertible can accommodate up to 10 people. Enjoy the ride with drinks and light snacks whilst your personal chauffeur shows you the sights of the city. The size of the Bellini also allows a return trip on the Landwehr Canal. 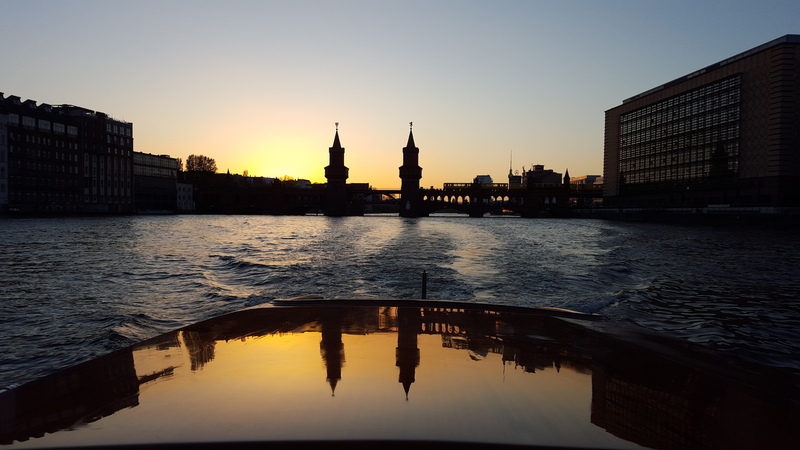 Plan with us your private and personal tour through Berlin's waterways. We also offer a candlelight tour, on which you get to know Berlin in a new light.